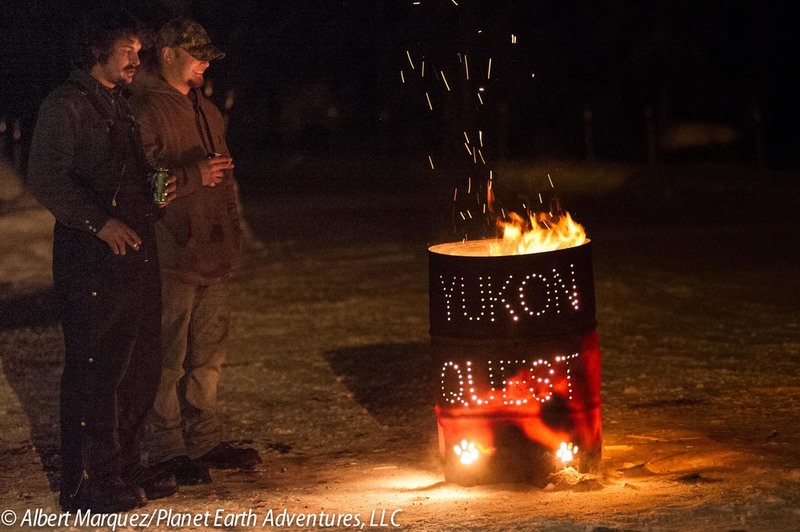 Yukon Quest Photography Tour & Workshop. Fully Guided from Fairbanks. See the Yukon Quest race and the northern lights - complete package includes many winter activities. The Alaska Yukon Quest Photo Tour and Workshop is Unparalleled to any. Observe and photograph part of the 1,100 Mile long Yukon Quest Sled Dog Race which is considered to be one of the most Epic and Toughest sleddog race in the World! Follow the teams along the trail, photograph from the trail and on dogsled, and enjoy a scenic drive through the heartland Alaska in the winter.It’s a quest for photographers as well, where temperatures can dive down to -40F, Your skills and equipment will be pushed and tested. Follow the race from Fairbanks to Circle and back, or extend your photo tour and take an overnight guided round trip journey to the Arctic Circle. This tour offers the perfect combination of race observation and action and photography in the amazing part of Alaska! See the star of the Yukon Quest, the 1,000 mile International sled dog race. See the finish of the Yukon Quest 300. Visit several of the race checkpoints. Witness the magical spectacle of the Northern Lights as they dance across the sky. Transportation, guide and lodging included. Arrive in Fairbanks. Airport transfers included. This afternoon, we will meet at the lodge for our Yukon Quest Photo Tour pre-trip orientation. Photographers will meet to review our photography objectives over the next several days. Today, photographers will learn the basics of documentary style photography. After breakfast, we will go on an amazing dog sledding photo adventure with Jodi Bailey & Dan Kaduce of Dew Claw Kennel. Dan and Jodi have been mushing for almost two decades and they have both completed the Yukon Quest and the Iditarod races. As veterans of the major 1000 races they bring that knowledge and their love of mushing to your trip. The dog sled tour will consist of a training run for an entire day. You’ll also have an opportunity to photograph the dog team, as well learn how to harness and bootie dogs if you like. You will be traveling with a team of friendly and highly energetic long distance dogs. The dog team is well socialized and enjoy attention as much as they enjoy running. There will be time to ask questions about dog care and training for distance races, which is great for documentary style shooting. In addition to an extended time on the sled, there will be nice breaks along the way for photos, snacks and drinks. Overnight in Fairbanks, review / edit photography. This morning you will have breakfast Central Roadhouse and briefed on the days photography locations and requirements. Afterwards, we will continue along the Steese Highway towards Circle, located 160 miles northeast of Fairbanks at the end of the Steese Highway. With a population of 73, Circle City, on the Yukon River, is the most northerly point on the race. It was the site of a major gold rush as well as a supply stop for prospectors. The first phone system in Alaska was installed here. It claims to be the largest log cabin city in the state. Circle was named by miners in the late 19th century who believed that the town was on the Arctic Circle. The Arctic Circle is actually about 50 miles north of Circle. Circle was established in 1893 when gold was discovered in Birch Creek, and served as an unloading point for supplies shipped up the Yukon River from the Bering Sea. The goods were sent overland to gold mining camps. In 1896, before the Klondike Gold Rush, Circle was the largest mining town on the Yukon River, with a population of 700. It had a store, a few dance halls, an opera house, a library, a school, a hospital, an Episcopal church, a newspaper, a United States commissioner, marshal, customs inspector, tax collector and a postmaster. Circle lost much of its population after gold discoveries in the Klondike, in 1897, and Nome, in 1899. A few miners stayed near Circle and mining in the area continues to the present. Most of the people in Circle today are Athabascan. Here, again we will watch as mushers and dog teams come into this checkpoint. There are great photo opportunities at this location including amazing views of the Yukon River. Watch as musher depart Circle and head into the wilderness across the Yukon River en route towards Eagle. Later this evening we can scan the skies for the northern lights. Central Checkpoints & Mile 101: After breakfast, we will travel along the Steese Highway and follow mushers and dog teams from Mile 101 checkpoint, Eagle Summit, to Circle. We will spend some time watching teams come into Mile 101 and then start to make our way towards Central. Central hosts a checkpoint for the long-distance Yukon Quest sled dog race. We will overnight at Steese Roadhouse. Accommodations at the Roadhouse may be considered slightly rustic, but are certainly clean and comfortable. On the property, a bathroom with shower is shared by the occupants of this building. Later tonight, we will go outside and scan the skies for the northern lights or hang out and wait for teams as they arrive into this checkpoint. If aurora is present, we’ll head out to photograph again. We’ll will enjoy breakfast together this morning and start our way back to Fairbanks. Along the way we’ll look for landscape or wildlife photo opportunities and stop at the Alyeska Pipeline interpretive site and get photographs of this amazing feat of engineering! We’ll have dinner to celebrate our own quest in photography and share memories. Depart back home. For those extending their trip to the Arctic Circle (add-on info below), we’ll hit the road by 6:30 in the morning. Extend your tour and combine it with an Arctic Circle overnight trip. Click Here. PHYSICAL REQUIREMENTS FOR THIS TOUR: (Easy/Moderate) The Yukon Quest Photo Tour does not require a high degree of physical fitness. However, we will be exposed to extremely cold weather, often experiencing high temperatures well below freezing, which in itself can be physically challenging. We may also have to walk in deep snow. Most nights we will stay up past midnight to look for the northern lights, which typically appear later in the evening. WHAT IS INCLUDED AND WHAT YOU NEED TO KNOW: Transportation, lodging, transfers and baggage handling and meals as indicated on the itinerary. All rates are per person in U.S. dollars based on shared occupancy. Single supplement is $975 for this tour. Accommodations are double occupancy. Due to the remote nature of the town of Central City, the accommodations there is unlike any other place you’ve stayed in. Because there are not many choices, the accommodations in Central City are very basic to rustic Alaskan and cannot be considered to be 5-stars by any means. It is the nicest place in town and is cozy and welcoming. However, you may have to share a room and or bathroom facilities. It certainly won’t be as nice as standard hotels you’ll find elsewhere. This is just a fact of life in the arctic. We’ll do everything we can to make sure you are comfortable and taken care of on this trip. Tour does not include Alaska Borough taxes, air transportation to and from Alaska or any optional tours, liquor, items of personal nature or other purchases. Winter clothing rental is available in Anchorage in limited supplies. (See below) This is the important part: Tour participants must understand and be willing to accept that weather can affect changes in the itinerary. Any additional costs which occur due to weather issues, delays, extra nights lodging or unforeseen circumstances, the tour participant is responsible for these expenses. You should plan to have some “buffer” days in your itinerary. Planet Earth Adventures will not be responsible for any missed flights or connections. For this reason, we strongly recommend that you purchase travel insurance. WINTER GEAR RENTAL: Anyone visiting Alaska in the winter time should bring a warm hat, gloves, neck scarf, and a heavy coat. Layering is the best way to keep warm in Alaska. A light weight thermal with a fleece and a loose fitting jacket is recommended. Please refer to our “What to Wear Winter Guide” by clicking the link below. In Anchorage, 6th Avenue Outfitters rents insulated snow type pants, parkas with hoods, and boots. We do not guarantee availability or sizing. There are no reservations on garments and it is first come-first serve. Please call 6th Avenue Outfitters for availability. 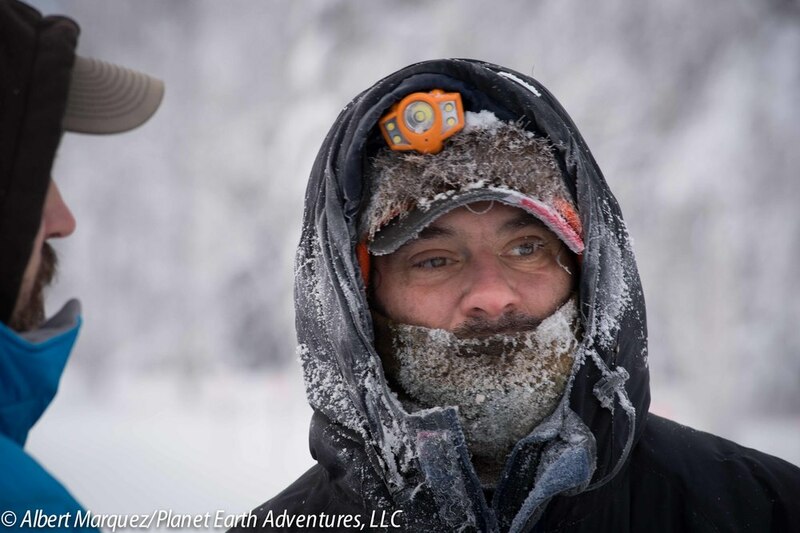 ABOUT YOUR GUIDES: Planet Earth Adventures has partnered with Scott Slone to offer real Alaska photographic adventures. Beyond learning photography, Scott believes great photography comes from having a connection with with your locations. Because his family roots reach five generations deep, photographers are getting more from the experience than just great photography. Albert Marquez owner of Planet Earth Adventures has been published in a number of well known books and magazines, and has been guiding photographers into Alaska for the last 5 years. A little known fact about Albert, he’s traveled every highway in Alaska! Please note that these optional activities will add extra days to the tour itinerary.